My father always said that you can’t count on a harvest until it actually comes in—but I’m ready to announce that this year’s crop of pistachios, which we’ll shake loose in September, could be the best I’ve seen in 20 years of farming them here in California’s San Joaquin Valley. We’ve enjoyed good weather, with the proper amount of heat during the day and adequate chilling through the wintertime. Water is expensive, but we’re getting enough. And right now, our trees are simply loaded with nuts. So we’re ready to sell to the world. A bumper crop is expected from the pistachio harvest in California this year. Our valley already supplies the U.S. market with virtually all of the pistachios it needs, and we’ve got lots left over. About half my harvest will go abroad. 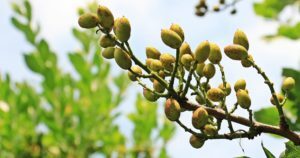 The only problem is that our biggest export customer, China, just slapped a huge tariff on our product: Chinese consumers who want to buy California pistachios now will have to pay a 40-percent tax, as part of a retaliatory measure in an emerging trade war between their country and the United States. 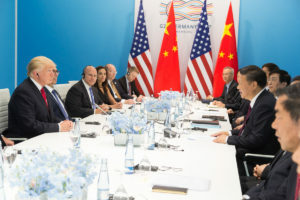 The dispute started earlier this year, when President Trump imposed tariffs on imported steel and aluminum and then broadened the conflict by adding new duties on $50 billion in Chinese products. China shot back with its own protectionist measures, and now my pistachio farm is caught in the crossfire of an unfortunate controversy. The pistachio tariff essentially will drive us out of the Chinese market. There’s just no way around it. We can’t cut our prices sharply enough to make up the difference. That’s partly the point. The Chinese don’t want to collect revenue on tariffs as much as they want to shut down a business we’ve worked hard to build for more than a decade. Their strategy is to create economic pain in California, which they believe will turn into political pressure on the White House, forcing President Trump to rethink his hard line on trade. I’m always against a trade war—but I’m also hopeful that China’s scheme won’t work out the way Beijing imagines. In fact, our immediate future looks bright. 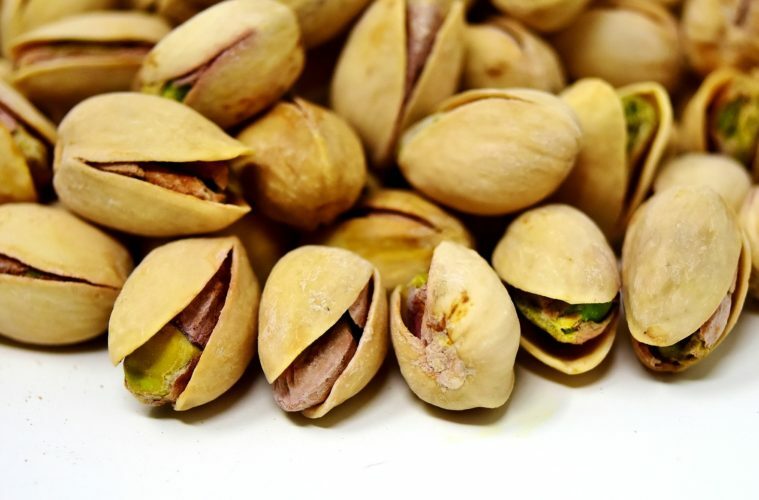 The United States exports more pistachios than anybody else, nearly 220,000 metric tons last year. Our closest competitor is Iran, at about 144,000 metric tons. Iran, however, will struggle to satisfy China’s huge demand, which peaks around the Chinese New Year, which in 2019 will take place on February 5. That’s because this year Iran has suffered a crop disaster: Its pistachio production will plummet by as much as 75 percent, due to weather extremes, water shortages, and soil salinization. If the Iranians shift their limited output to China, we’ll sell our California pistachios to the customers they abandon. We’ll find new buyers in Europe, India, and elsewhere. Demand for our pistachios is strong. We grow the best in the world. We sold out last year’s crop and we’re well on our way to selling out this year’s bounty, even though the new tariff means that in recent weeks, we haven’t sold a single nut to China. 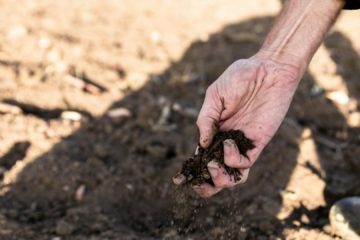 This is the message we’d like to everyone to hear: California pistachio farmers are open for business. We’ll sell to anybody who wants to try the highest-quality nut on the market. The bottom line is that in the short term, despite the trade war, we’ll be okay. The circumstances of pistachio production in 2018 are stacked in our favor. My worry is what will happen over the long term. If the trade war grinds on and China’s pistachio tariff remains in place, the Chinese may yet hurt us in exactly the way they intend. When the US and China ease up on trade disputes is yet to be determined. Sooner rather than later, this trade war will have to stop. Even President Trump knows this, as he indicated in April, when he tried to calm the nerves of anxious farmers during the trade war’s opening salvos. I’m willing to give the president a bit of time, but I do plan to hold him to his promise. Note – a version of this column first appeared at The Hill on July 24.